The vehicle used in the Pulwama terror attack was a mini-van and its owner is on the run. A Maruti Ecco vehicle that was sold to a resident of Heaven Colony in Jammu and Kashmir's Anantnag in 2011 was used in the attack, the NIA said. The car owner has been identified as one Sajjad Bhat, a resident of Brisbehara in Anantnag district. A search operation has been launched for Bhat, who is reportedly on the run since the day of the attack. 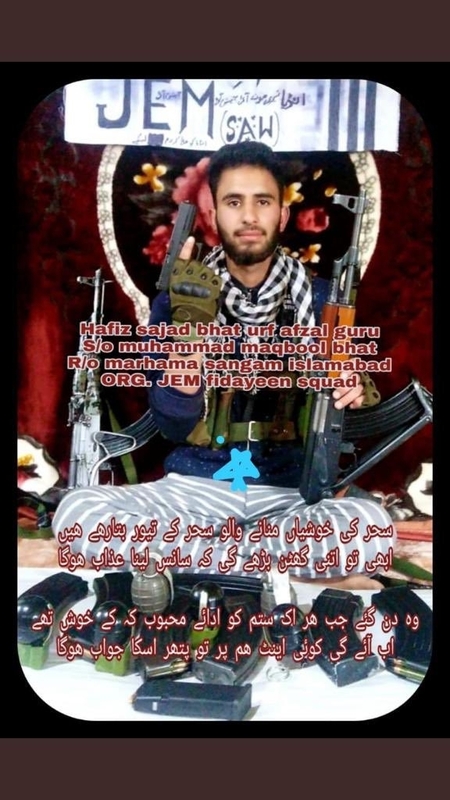 The possibility is that Sajjad Bhat has joined Jaish-e-Mohammed and his picture holding a weapon has been seen on social media.